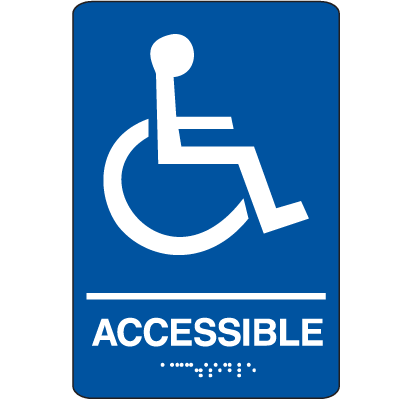 Economical plastic Braille signs are the affordable way to comply with ADA requirements. These injection-molded plastic signs feature Grade 2 Braille messages. Each of these restroom signs or office signs includes double-sided tape for easy mounting.